The Reckless Love of God – What do I know? Maybe I should start at the beginning. I was born Jewish, as some of you well know, and looked for Jesus emphatically when I was 12-yrs old. Strange age, don’t ya think? Therefore, we had to wait the first five years in different schools until our school was built. I did not talk to anyone, I just put my head down and kept walking. I could not get home fast enough because of my looks. My parents did not help because they were having problems of their own and I seemed to get in the way. It got so cruel that I could not take it anymore and I knew where my Mom’s drugs were. I wanted to die. I just wanted my life to stop. I was 9-years old at the time and still in touch with God, as I knew Him. I talked, yelled, screamed, and cried for Him to make me pretty, so it would stop. I remember the feeling of calmness that would come over me, and when I slept, I had daydreams instead of nightmares. I got the “message.” The Lord wanted me alive and I desperately needed to find Jesus. Question: How does a 9-year old child know instinctively that there was a higher power in charge? We celebrated no religion in my house. Oh yeah, we were Jewish, “the chosen ones. ” this meant that I knew nothing except what I saw on the TV. But I knew He was there. Statistics say that most children (pre-teens & teens kill themselves), when there is no one to turn to and they are bullied. This is proven by the number of suicide deaths on the rise. I fall into that 5% bracket of people who walk away from the odds. as you will see as i continue. As time went on, God gave me the strength to except my lack of appeal and not care what people thought. It was then and only then that I became a true extrovert. Believe it! One day, when I was feeding my toddler, I heard a knock at the door. I lived in an apartment where anyone could come in the main door. Little did I know that in answering the knock, my life was going to change forever. When I opened the door, there two well dressed women. They handed me a magazine, and while I was perusing the cover, they took the opportunity to ask me if I would like to learn the Bible. Wow! My prayers were finally answered. I told them to hold on a minute while I ran into my bedroom and grabbed my little pocket-sized King James New Testament Bible. However, when I arrived back in the living room, one of them held out a black Bible out to me that boasted the Old and the New Testament. And it would only cost me a dollar. I thought, “what a deal!” One of the women asked me if they could return in order to start having a Bible study. And would I be available the same time next week. They offered to explain the magazine they had left with me and how they would back it up with scriptures from my new Bible. The Bible was called “the New World Translation of the Holy Scriptures.” That was when they mentioned that they were Jehovah’s Witnesses. I really did not know anything about them. Then I was asked to prepare for them by answering the questions at the bottom of the main article in the magazine. I was to use my new Bible. I emphatically agreed and could not wait for them to leave so I could start reading the magazine. It held ideas that were very new to me, but I had an open mind and decided to give them a chance. I was 21-yrs old at the time; it was 1975 and I did not escape them until I was 36-yrs old in 1990. This encompassed my entire life as a young woman. Consequently, I entered satan’s organization unknowingly. I was being disfellowshipped. My husband who abused me verbally and physically pretended to he wanted a Bible Study, and spent the entire time telling this elder horrific lies about me. Meanwhile God had already opened my eyes, and so when they said at the small meeting that they decided to disfellowship me, all I could think of was freedom! But I wasn’t finished yet. They had to be brought out in the open and I was praying Jehovah would show their true colors… So, accordingly, I asked for a judicial hearing. Unfortunately, without realizing it I played right into their hands. I slept with another man, and came back and confessed. I told Frank first, and I expected at the very least, a black eye. He had abused me all those years and now all he did was hit the cabinets. Who knew? Consequently, I set up a meeting to tell the elders what I did, not realizing at the time, the extent to which Frank’s lies during his Bible Study would prove to be. At the same time, I told Frank I wanted a divorce, and that we were going to a judicial hearing because I was disfellowshipped. he was livid. Frank called the elder he was having a Bible Study with, and screamed, that he only wanted me to be punished, not thrown out! Indeed,that hardened my case and spurred me to go on. The truth always works! I remember being apprehensive because Frank cried with his head down for the duration of the judicial committee meeting. He only spoke once and that was to ask, Why did you disfellowship her? He got his answer in time and it was none too pretty , but I digress. I stood up without hesitation, and in my said through my teeth, with the Judge Judy voice on steroids, “JEHOVAH IS WATCHING, ARE YOU CRAZY!” The Head Overseer turned and asked one of the elders again. This time the cowards shook their heads yes, amid Tony protesting that he didn’t. Now we had a change of story, hm….. The verdict was “innocent” until we deem you guilty.” The head Overseer turned to the other overseers and said, “I think we need to discuss this and come back another time, perhaps next week.” For the time being, we won’t disfellowship her, but she has to continue to be a “good girl.” Ha! I left and never looked back. 5% win. I told Frank I was getting a divorce. So I called the local realtor and I put the house up for sale. Frank would take down the “For Sale ” sign, then when he went to work I put it right back up again. It was a good thing he worked evenings and slept all day. So, the sign pretty much stayed there. This was the beginning of the end. I was no angel, as my children would testify to this. I was free! Free from Frank ! Free from the JW’s! However, I did make good friends that called me even though I was disfellowshipped. I want them to know that they were in the wrong religion and that it was a cult. I made certain I acquired an apartment already right next door to the local police station. I had previously given the landlord’s two months rent, as required. I then went into the police station and alerted them to the possibility of my husband stalking me. That’s when Frank started saying he was going to commit suicide. We would go out to dinner and he would show me literature on hollow-point bullets. That was the end of going anywhere with him. Frank continued singing the same song , threatening to kill himself. It was 1990 on a beautiful March spring day. The night before, I thought my husband understood that we could remain friends, almost like the old days. He went to work as usual at 9 pm and I went to bed. He came in the next morning while I was tending to my 11-yr old sick daughter. Frank went upstairs and got ready for bed. He used a bandana around his eyes to keep the sunlight out. I went into the other room to get dressed, when I heard him call me. He asked, “Are you still leaving me?” I answered ,”Yes, why?” He reached under his pillow and pulled out a gun and pointed it at me at close range. I was so shocked and numb at the same time. I did not care. I said, “What the “F**k” do you think you are going to do with that! ?” I was livid and probably out of breath. He put the gun back under the pillow and told me to get out. I grabbed my daughter and did just that. He killed himself as soon as we left. How many women would have gotten out of that without a scratch. Maybe 5%? Was God in my life from the beginning? I can only tell you my story and it will come to light. Did you ever consider the thought that God can save you to have salvation? It happened to me countless times. God was with me when I beat death and my story goes on. I started dating almost immediately after Frank’s death, to the chagrin of my children. I was not thinking. I should have been spending more time with them, but everything was I am free. I went to drop off something for my son at his job and I met his boss who was approximately my age. This gentleman asked me out for that evening, and I said yes. He wanting to go dancing, my favorite sport! So, I put Jehovah second and went on the date. I met him at his house. we went dancing and he carried me off the dance floor and took me back to his house. Oh, what a night! That one night turned into a six month relationship. It was still 1990, what I thinking? I wasn’t. I would go dancing with my two ex-Jehovah Witness friends. We would go at least once a week. It was basically a dance club, but we didn’t do much drinking, just dancing. After Frank died, he left a carton of cigarettes sitting in the dining room and I thought “why not?” I can give you a million reasons, but at the time do you think I would listen? It was one of those nights when I wanted to go dancing, and I don’t know why, but I had to go! So, I enticed them to a nice dinner at an expensive restaurant. You see, they were both depressed. I thought it would be good therapy to get them out. So, they finally said “yes.” When we came into the club and said our hellos’, one of my companions saw somebody she used to work with and wanted to say hi. We told her we would meet her in the ladies’ room. When she came in the bathroom, she slyly let it slip that this guy would be joining our table. I did not care, but my other friend was so happy about it. When we got back to our table there was my future husband Tony. Tony and I still laugh about this because I was the least of the three of us he was attracted to. We all started dancing and talking, so much so we closed the place. Before we left, to my surprise Tony asked for MY phone number and I gave it to him. But first I checked out his vehicle. If it was a Corvette, there was no way I would think about dating him. However, it was a burgundy Cougar, so I was happy. I do not need to tell you that my two cohorts hit me over the head with their purses, because I already had a boyfriend. Oh, yeah. I need to say at this juncture that my steady boyfriend and I were not getting along. He had a problem with my independence and I had a problem with his problem. It was around the end of 1990 that I started dating Tony. But I was seeing my other boyfriend once in a while. They were both serious about me and knew about each other. I seriously did not know what to do. My two girlfriends were split on advice. so, guess what? I went to stable ground, my children. I sat them both down and told them of my dilemma. Since, they had to live with my choice I thought it only natural. My son was close to 18-yrs old, and very mature for his age and my daughter was 12-yrs old going on 50, and would agree with anything her big brother said. So, I sat them down on the couch and poured my heart out. Without hesitation they both said “Tony.” I am putting this story in because if I hadn’t chose Tony, my Christian life would have taken a wrong turn. When I met Tony, he had already purchased a house in Cape May, NJ, and I loved the beach. Eventually we acquired two houses four houses, two in PA and two inNJ. WE ended selling the houses in PA and moved to Cape May. I was still employed in P, so I commuted. It was one of these evenings and I drove two and half hours in a wicked thunderstorm. I was never afraid of them before, but this storm would change my attitude. I was half-hour from home when I heard a loud crack! a boom and I found I could not see. I stopped the car in a panic and waited for my vision to clear. The roads were empty because it was late at night. I turned around, there directly behind my car was an extremely large tree limb that had been struck by lightning. I was going 55 miles per hour. It had just missed me. I trembled driving the rest of the way home. God was with me that night. I finally gave my job in PA and started looking for employment in NJ. I was a “Controller” by trade, and I thought it would be easy to find a permanent job, but I was dreaming. Tony was well liked and he obtained a transfer without any problems. So, our life in Cape May was going from one place to another looking for work, and I finally had an interview at a marina. I went on the interview, everyone seemed pleasant., but it started to sleet on the way home. I was going 25 mph and was approximately two miles from home when my Acura spun out. I hit black ice. Now the first thing that went through my head was the memory of my step-father crossing over a draw bridge in NY. The lights were not working and the bridge opened up right in front of him. He decided to speed up to get across to the other side. Oh, he made it, but the front tires stopped suddenly on a metal groove on the bridge. He died instantly from being crushed by the steering wheel. In his case it was raining and on the other side were cars all lined up waiting for the bridge to come down so they could cross. My Mom said that the police had said if his car had not stopped on that groove, he would have slammed into the waiting cars, killing himself and those waiting on the other side. The second thing, of course, and my car was spinning and I had seconds to think. Frank had told me to always steer into the spin, so that is what I did, but the car started to whirl out of control, so I took the wheel and keep turning it hard enough to aim for this monster tree on my right, on someone’s lawn, instead of hitting anyone. I did see the horrified faces of those people in those cars, trapped where they were. I hit the tree and saw black. When I came to, there were people hanging over me, asking if I was alright since there wasn’t a car on the driver’s side anymore. I heard sirens and looked at where I landed. It was two full blocks on somebody’s lawn. Tony came and all that was left of my car was where I sat! The police commended me for my actions, and my head hurt so we went to the ER, and all I had was a sprained arm. Believe it. God was with me that day. 5% make it out alive. Approximately ten years or so later, my Mom & Step-dad moved to Florida and invited us to come down and check it out. Tony was ready for a change in climate so we jumped at the chance. Little did we know that we would be living down the street from them. We love it in Florida, but the Lord had everything to do with our moving here. My journey goes on to the best thing that ever happened to me. Now that you about my fifteen years as a JW, my testimony will make perfect sense to you. Without that background information, you would not understand my reluctance to go to any church, and that is putting it mildly. My youngest sister, Mindy has been a born-again Christian since she was a teenager. Oh, how we used to disagree at those times we talked religion. Jehovah’s Witnesses’ do not mix well with born-again Christians. Looking back, I did all of the aggressive fighting and she humbly tried to explain her relationship with Jesus. I would hear none of it. My Mom & Step-dad (Franklin) , would go to church just to hear her sing, then they would go home. However, there was one time twenty plus years ago their lives changed forever. Franklin had to take Mom home because she could not stop crying. It was the Holy Spirit bearing witness to her soul. As a result, they began to attend this church, not only to hear my sister sing, but to learn more about God and what He had in store for them. Tony & I moved to Florida near my parents in 2004. After a time, my parent asked us to go with them to church . On the inside, I was having a panic attack, but on the outside, I calmly said I would be glad to go when I was ready. “Never,” I thought. It was 2008, and I had just my job as a controller. I had a journal going and decided I would write a book. I felt so strongly about this book, that I purchased a laptop for $800.00 and just started writing. The funny thing about it was that I literally could not stop writing and would be up at 5am still putting pen to paper. I felt that I needed to get the information out of my head and on paper, or I would go mad. I gave the manuscript to my doctor, and after reading it he gave me the name of a publisher, along with their address and phone number. I had a conversation with the publisher on Monday and sent in the manuscript immediately. The publishers told me that they only publish what they like and think will sell. There arent’ big, but they are big enough. Consequently, I had nothing to do but wait. That Wednesday, I was doing the dishes in the afternoon, when it struck me that I had not come clean on the promise I had made to them regarding their church. It had been 4-yrs since they offered. Maybe it was time, but I shuddered at the thought! I was dreading the idea of going and was somewhat afraid. I chided myself and picked up the phone, without thinking and called Franklin at work. It took courage for me to pick up that phone because it had been approximately 18-yrs since I left the cult, and I swore I would not go into any church. I was truly burnt! I really wanted to get it over with, and it was just one day, what could it hurt? It would mean more to them anyway. Except, when I tried to make the call, an inner voice said, “What are you crazy!” I tried to ignore it , but was I crazy? Meanwhile, the phone call was being put through and it was too late to hang up. Suddenly, I was terrified. Franklin answered and I asked him if I could go to church with him and mom this Sunday. Now, in my mind, I was saying , “Hang up now!” I unexpectedly felt too strong about this to go backwards. What was happening to me? Suddenly the phone went quiet on the other end. Then he said, “Jerry Cisar, the Head Pastor would not be there this weekend. The Associate Pastor, Daryn Kinney would be giving the “message.” Again inside my head came the words, “Oh, goody, now you can put this off!” Abruptly, what came out of my mouth was . “That’s okay , maybe there is a reason for it.” Who said that? My head was spinning with confusion. Franklin said that he would speak to his “roommate” and would get back to me. You see, I had already told my parents it was critical that if I went to any church, I would want to speak to the “Head Pastor.” I was definitely not a trusting person and a little wary when it came to religion. I wanted to know how they viewed Jehovah. Well, I was in for it now, and there was no going back, even though I was questioning my decision when the phone rang. It was the roommate, “Mom.” She asked , Are you really going?” I did not hesitate this time and said, “yes.” Next, she informed me as to what time they would pick me up. I asked her what I should wear. She said that I could wear anything, even shorts and a tee-shirt as long as I was presentable. I was a bit surprised, because when I would go to the Kingdom Hall, dresses and skirts were required. Now, for three days I tried to think of some way to get out of this promise, to no avail. I was pretty anxious when that day finally arrived. I thought I was headed for another religious trap. I tried to calm myself by thinking that this would only be one time, one day. I would just grin and bear it. It was only then that I relaxed enough to ask questions on the way down to Gulf Coast Community Church.” When we arrived , forty-five minutes later, I was warmly welcomed and introduced everywhere. I could see in Mom’s face that she was happy to show me around, that made me feel special. When the service began, there was singing and praising the Lord, accompanied by a full band up front on stage. This was totally foreign to me. Later, I would recognize this as the “Worship Team.” The words to the song were projected on a screen above us so we could follow along with the band. No song books needed here. The first song struck me hard. There were phrases like, “You were lost, and now you are found. You were blind and now you can see.” I became very emotional and started to cry. We were standing and I had to sit down, then Mom began handing me tissues, and I recollect other people crying too. For joy! Why was this affecting me? There was a five-minute break. I really didn’t want to leave my seat for fear that all would be staring at my mascara running down my face. When I finally got up, no one seemed to notice. In fact, the parishioners made a point of coming up to me and told me they were glad to see me there. It was a comforting feeling that made me feel welcome. I trust this Church holds about one-hundred & twenty people and I believe I spoke to everyone. Kingdom Halls were not like this. You would get a nod and a smile. There was no real warmth. My Bible study teacher, who was about my age, did not introduce me around. See appeared nervous and then, after looking around I realized why. You see, my attire was all wrong, even though I was wearing a presentable pants suit, (it was 1975). So, I was admonished to wear a skirt and blouse or a dress, for the next time. Ha, I did not even own a dress or skirt. I learned quickly from going to the Kingdom Hall that until you made an effort to familiarize yourself, nobody else would do it for you. However, I became very close friends with her throughout the 15-yrs as a JW. Oh, they were pleasant enough, but when they smiled , it did not reach their eyes. I discovered later, that because my husband, (Frank) was not with me, I would be categorized with the other “spiritual widows”. In fact, most of my good friends were exactly that. We stuck together through it all, including the demands that went along with being a witness of Jehovah. At any rate, at Gulf Coast Community Church I felt the difference immediately. There was warmth I could not put my finger on. Later, I would identify it as the “Holy Spirit.” Now it was time for the message. I was so excited, I was beside myself. What was God trying to tell me? This message was called, “the unwavering Confidence in “He Who Is.”I still get goose bumps. When Pastor Kinney said Jehovah’s name the second time, I was in the back foyer sobbing my heart out. The emotional floodgates opened. I felt like I was hit over the head by God. To this day, I believe I was. I felt the Holy Spirit right then and there. My personal relationship with God through Jesus Christ was just beginning. Oh how, when I was a Jehovah’s Witness, my friends and I would make fun of those Christians who professed to have a close relationship with Jesus. I stood convicted. It is an experience you cannot explain. I was totally blown away, to put it mildly. I could not wait until next Sunday. I really do not remember the ride home because I was in my own little world, sorting it out. I had finally found God! The next day, Monday, I received a phone call from the publisher. They said with some extensive editing, they would publish my book. 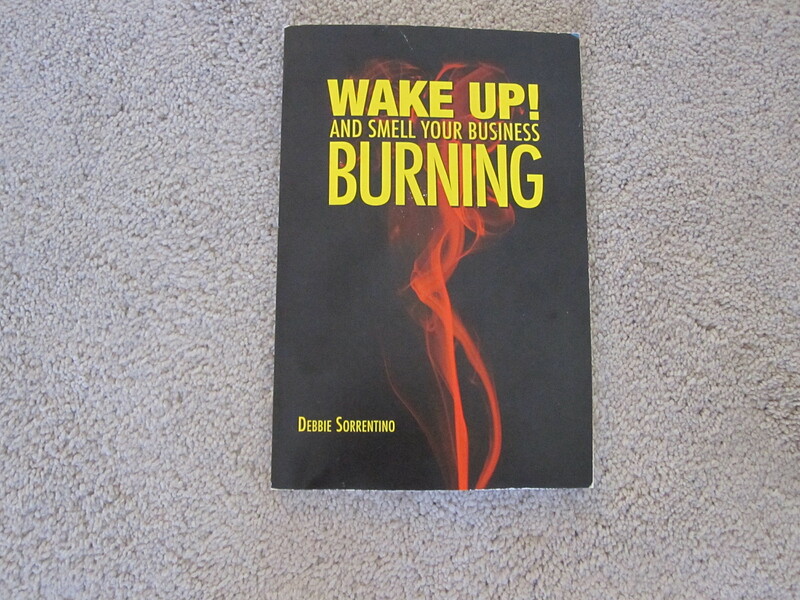 As soon as I hung up, I was on my knees praying to God that now was not a good time for my book to take off. I really meant it and I know it sounds silly, but money is the worst temptation for the adversary to ensnare us with. I did not want anything to come between myself and my God. That book is on the major bookseller’s websites, like Amazon, with five stars, where it quietly sits. Then my heart sank when I received a small-sized letter from the church. I knew it was too good to be true. Immediately, I thought, “Okay , now they want a donation.” Guess what? It was a warm greeting from the Head Pastor, Jerry Cisar, from the church, expressing his disappointment because he missed meeting me. I cried. Previous Previous post: The Indwelling of the Holy Spirit in the O.T. Snared by the Hound of Heaven. I read the poem. Oh, if only I had that to quote in my book, I admonish everyone, whether you like poetry or not to read this poem by Francis Thompson. Thank you for turning me on to it. God reaches us when and where we are. This can often be uncomfortable. But if we hang on, we will be on a journey beyond our wildest dreams. I guess you should read my book. It was a wild ride. Almost like the poem. At least get an idea from my blogs. Check them out.